An unusual French, four light persepex ceiling light. 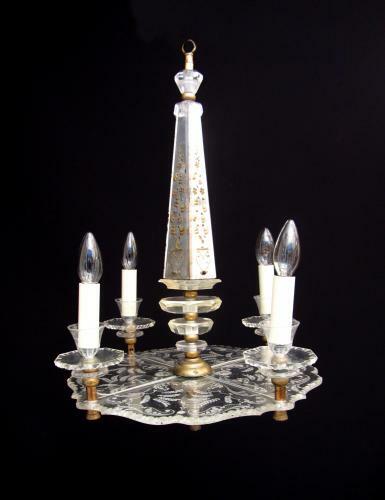 The central triangular mirrored stem is decorated with a gilt foliate design and the base plate intricately carved with a floral design. French, circa 1940's.